Fight or flight. Run or be eaten. We were all taught that horses evolved to have single toes because they were the prey of predators. 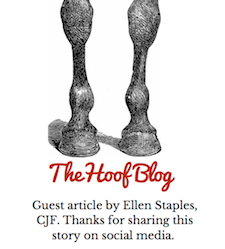 A single hoof made them one of the fastest animals on earth. The successful survivors were the fastest ones, because they could outrun lions and tigers and bears. But a new group of researchers published an alternate point of view on April 12, which we share thanks to the University of Bristol in England. According to the authors, they weave "together information from equid evolutionary history, foot anatomy, and locomotion, which provide the essential background information that informs our novel proposition". 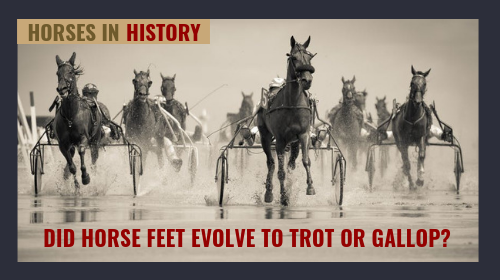 They suggest that horses' feet evolved for efficient trotting during grazing, rather than for speed to evade predators. But isn't it possible that the single toe aided both survival gaits? Jump crews work hard at a horse show. At next week’s FEI World Cup in Gothenburg, Sweden, one unique jump crew will be working hard in hopes of getting a good grade. For the fourth consecutive year, Sweden’s premier horse show will have a mini research lab set up, right in the ring. 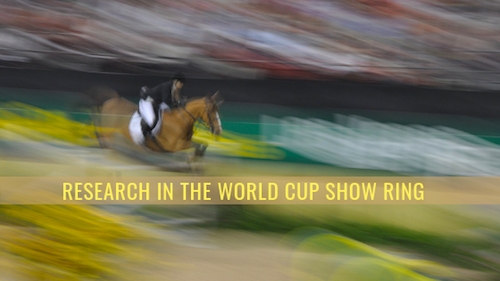 But this year is a little different, since the Gothenburg Horse Show will also include the FEI World Cup finals in dressage and show jumping. 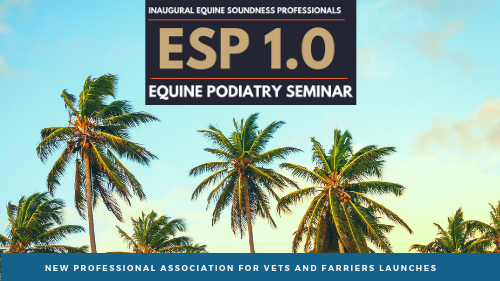 Equine Soundness Professionals’ first annual podiatry seminar held in Wellington, Florida left attendees eagerly anticipating the next event held by the budding organization. Lecturers Dr. Raul Bras of Rood & Riddle Equine Hospital in Kentucky and Florida, farrier Pat Reilly of Penn Vet New Bolton Center at the University of Pennsylvania, and farrier Shane Westman of the University of California at Davis School of Veterinary Medicine presented the topics of laminitis, navicular disease, and white line disease to both farriers and veterinarians gathered in the elegant ballroom of The Wanderer’s Country Club. 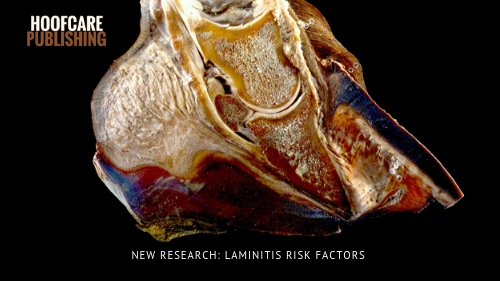 Although excess weight has long been considered a primary risk factor for laminitis, new research continues to sort through the many risk factors and look for patterns of horsecare or links between the factors themselves, as well as that weight gain is most likely to be associated with laminitis. A relatively large study, by equine science standards, was conducted in the United Kingdom and gave researchers access to data on more than 1000 horses in "real time" by receiving monthly reports for more than two years from owners about the same horses. 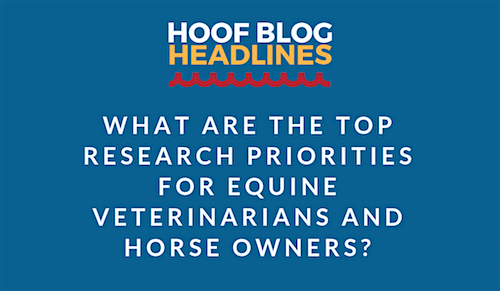 The sole purpose of the study was to gather data on laminitis and the horsecare factors that may contribute to it. Out of 1,070 horses followed in the study, 97 experienced 123 episodes of laminitis over the 29 months the data was collected. 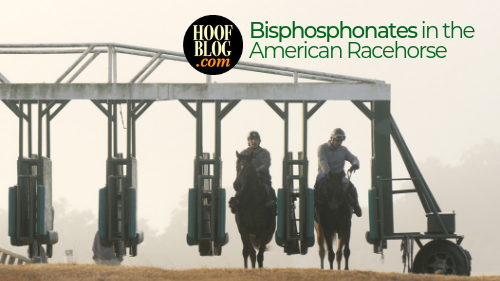 The bottom line conclusion was that weight gain more than doubled the risk of developing laminitis, but other horsecare practices, including hoofcare, should not be ignored. Bisphosphonates are a type of medication used to treat osteoporosis in humans. They have been approved by the US Food and Drug Administration since 2014 for treatment of navicular disease in horses older than four. Research in Europe, conducted by Professor Jean-Marie Denoix and others, has also investigated the possible expanded use of one bisphosphonate, tiludronate (Tildren) for other lameness problems, such as bone spavin and osteoarthritic lesions of the thoracolumbar vertebral column. Professor Denoix also led the initial research on Tildren for navicular disease in older horses. Colic (gastrointestinal diseases) is considered by both equine veterinarians and horse owners as the most important equine health care problem in need of more answers, according to the results of parallel research surveys conducted by the American Association of Equine Practitioners (AAEP) Foundation and the American Horse Council (AHC) Foundation.